SSS Motors is happy to present this HONDA JAZZ I-VTEC EX 1.4 5dr, 2013 (63 reg), Hatchback, 72,000 miles, Manual, Petrol. 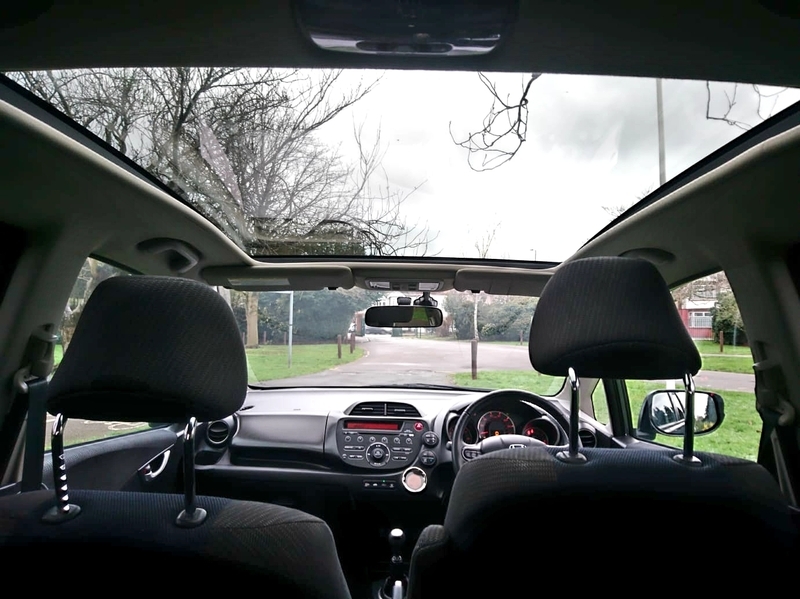 Looking inside this Spacious Top of the Range HONDA JAZZ we find optional extras including ** SPORTS BUMPER WITH FOG LIGHTS, BLUETOOTH, PAN ROOF**. DRIVES WITHOUT ANY FAULTS, IMMACULATE CONDITION. Any test drives or mechanical inspection is more than welcome! With the extremely reliable & economical 1.3 HONDA ENGINE under the bonnet she is extremely economical and very cheap to insure, tax & service whilst still packing a healthy amount of power. 2 KEYS. HPI CLEAR AND PASSED MOT WITH NO ADVISORIES / COMES WITH LONG MOT FOR YOUR PEACE OF MIND / NEW MOT All of our cars are price checked daily to ensure we provide the best value for money possible to my customers, when you buy from us at SSS MOTORS you can be rest assured you are buying a quality vehicle with confidence! Call us to book an appointment today to experience this FANTASTIC car! We really have no doubt that the first buyer to see this car will buy! Why spend hours on end viewing the rest, when you can come to us at SSS MOTORS and buy THE BEST? Rain Sensor, Brake Assist, Front Fog Lights, Electric Folding Mirrors, ISOFix Anchor Point, Steering Wheel Controls, Speakers, Privacy/Tinted Glass, Cup Holders, Body Coloured Bumpers, Traction Control, Safety Belts Rear, Safety Belts, Radio, MP3, Electric Mirrors, Cruise Control, Bluetooth, Adjustable Steering, Side Impact Airbags, Front Airbags, Power Assisted Steering, Electric Windows, Climate Control, Central Locking, CD Player, Alloy Wheels, Air Conditioning, ABS. 5 seats, Grey. 1 Year AA Breakdown Cover.